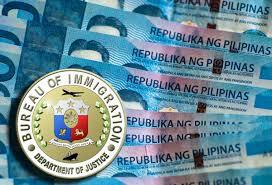 The Philippines Bureau of Immigration (BI) has passed a new bill that says children of foreigners who are married to a Filipino may now be granted permanent residence under Section 13a of the Philippines Immigration Act. The Secretary of Justice Leila de Lima approved BI Memorandum Circular No. #SBM-2015-001 allowing children of foreign nationals to acquire permanent residence based on the foreign parent’s marriage to a Filipino. Under Section 13a of the PIA, the spouse or child of a Filipino may be granted permanent residence. It is noted however, whether a child of the foreigner spouse may be granted a similar status as that of the spouse. “The policy aims to clarify and fill the void in the law such that it is aligned with the State’s policy to protect the sanctity of the family”, said BI Commissioner Siegfred Mison. 3. They are in fact accompanying or following to join their parent. Is the ‘Quadrofoil’ the future of eco-friendly boating?